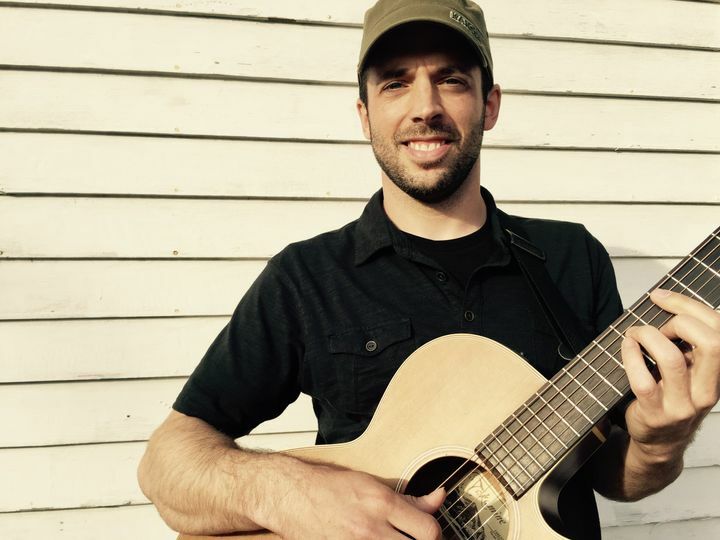 Anders Hyatt is a hard-working, experienced musician based in Philadelphia, Pennsylvania. 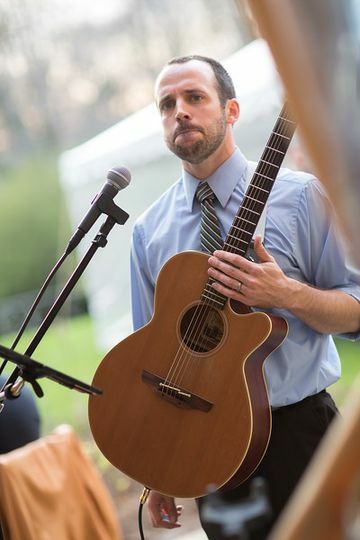 Over the past decade, Anders has worked with hundreds of couples in crafting an intimate and personalized musical experience for their wedding day. Anders is a clear communicator and an honest professional who brings a pleasant and captivating energy to every event. Your guests will rave and wonder you where you found him. 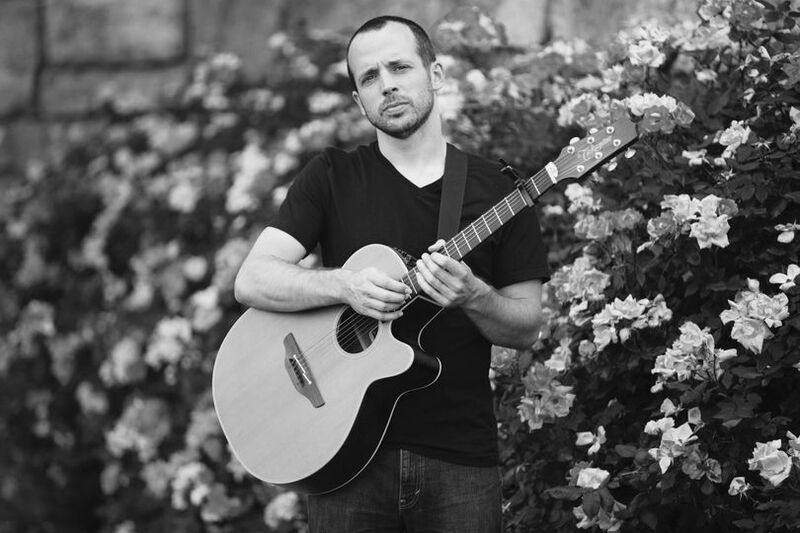 Anders is a singing acoustic guitarist and he plays for weddings and other events throughout the Delaware Valley and beyond. 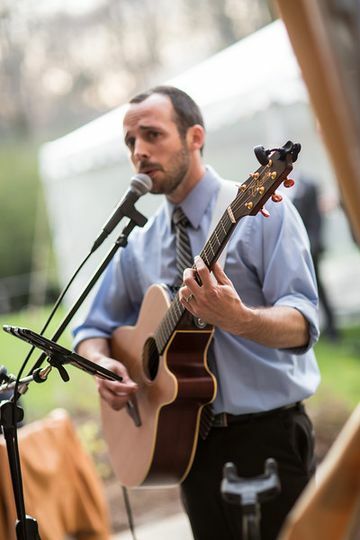 Whether you want special music for your ceremony, a beautiful ambiance during dinner and cocktail receptions, or energetic sing-alongs, Anders can deliver the goods. 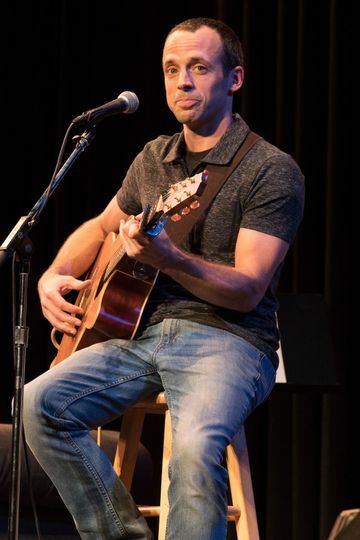 His rich, warm vocals perfectly complement his effortless guitar-playing while performing a wide range of styles and genres including old and new songs, upbeat and slow dance. 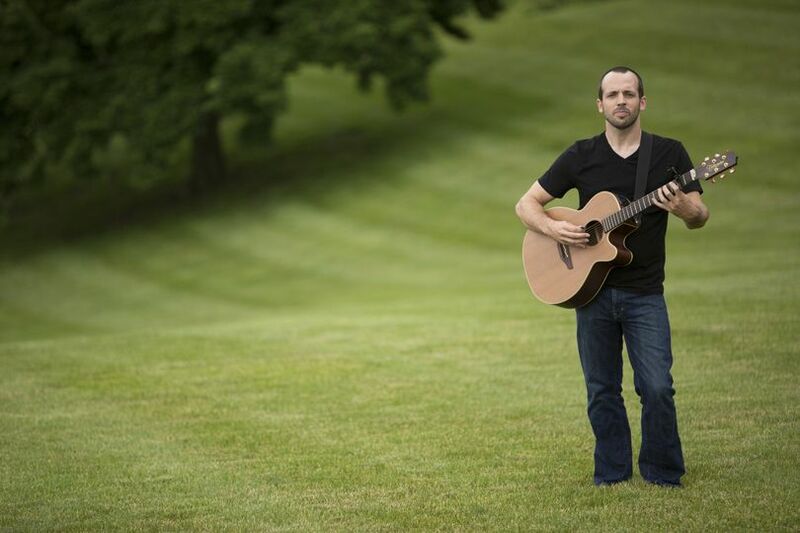 Anders also offers a few different acoustic duo options which include backup vocals and additional instruments such as violin, piano/keyboard, and light percussion. And if you want a wedding DJ with years of experience who understands how to read a room, Anders can switch into DJ mode for your reception. Book Anders today, dates are filling fast! Book Anders as soon as possible. Anders was the perfect choice for us. A true professional. He was super accommodating from beginning to end. He was always available for questions. He rolled with moving the ceremony indoors because of rain and then set up outside for cocktail hour when the rain stopped. His voice and guitar playing are exceptional. His website is very helpful and interactive. We made some song choices for the Wedding Ceremony and Anders assisted us in making sure the songs worked for the ceremony. Anders also learned a new song my daughter requested for her processional and it sounded amazing. We couldn't decide on a recessional, we gave Anders 3 choices and told him to surprise us! We had complete faith in his choice. 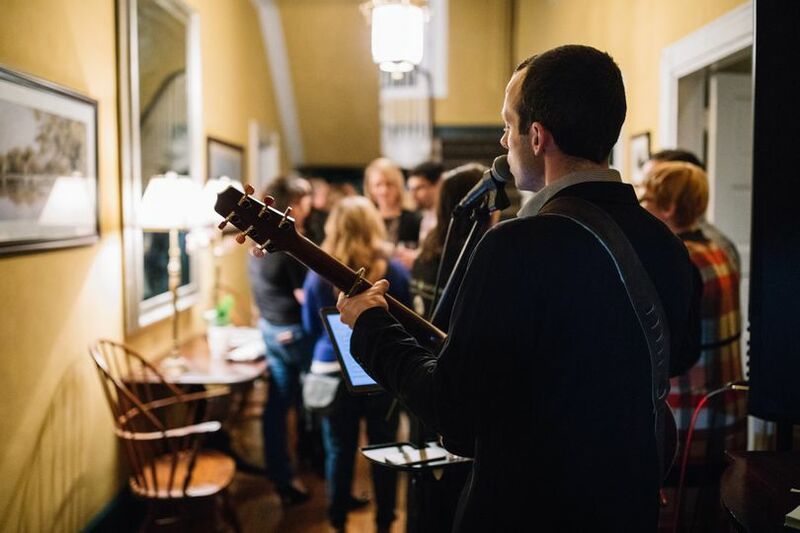 Our guests loved his music. Reasonable prices, well worth the money. My only regret is that I was late to cocktail hour and was unable to enjoy the music as much as I would have liked to. Anders made this MOB very happy with our choice! 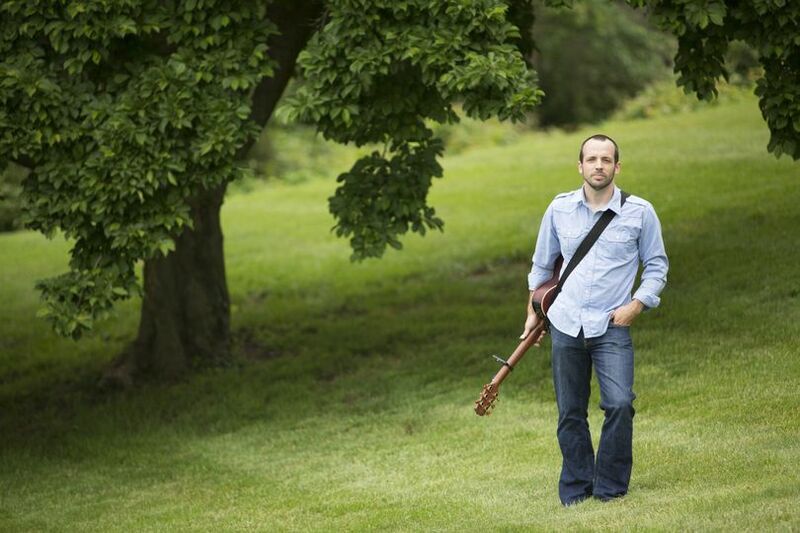 We have and will continue to follow Anders as he plays in local venues. 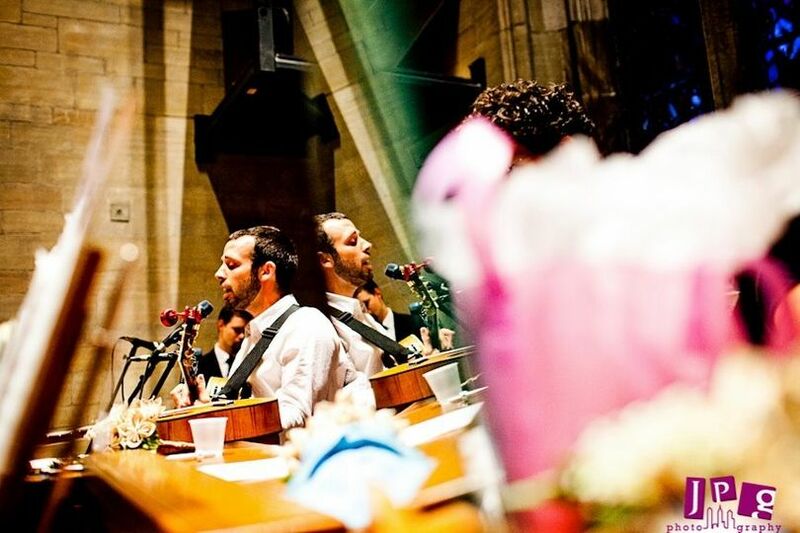 A storybook wedding punctuated by fantastic music! There is a reason every review on here is 5 stars. Anders professionalism is only exceed by his talent. 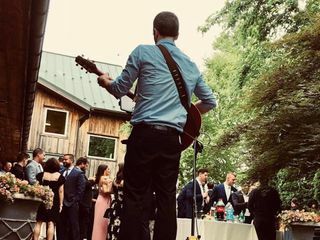 He did our ceremony acoustically, happy hour and first dances acoustic with vocals, then rocked the rest of the night as a DJ. There aren't many folks out there who have the versatility to do all of that, let alone so well! The guests raved at how great the music was. The next day we saw videos and snaps filled with our friends and family laughing, dancing and singing along to Anders cocktail hour set list. He really felt the vibe of the crowd and helped create the fun, laid back environment that we were looking for. He granted every request we had for him and really helped our day go smoothly. We will definitely keep him in mind for events in the future. If you are looking for a talented professional who is easygoing, hardworking and kind then hire Anders. Anders was so accommodating, professional, easy to get ahold of and talk to. 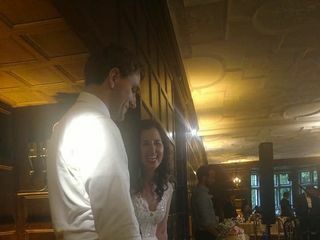 He played our favorite songs and learned a new song for me (the bride) to walk down the aisle too. It was so special for me. My guests, friends, family loved the extra warm touch he brought to the day, which was great since it was a cold outdoor ceremony! We were so happy and pleased he was a part of our big day!